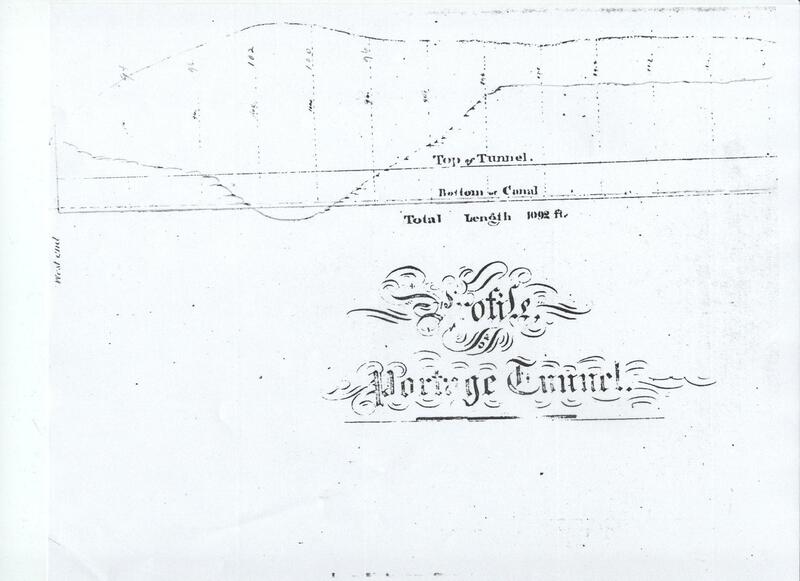 Although it was never completed, the Portage Tunnel on the Genesee Valley Canal continues to be an important part of the history of the Canal. 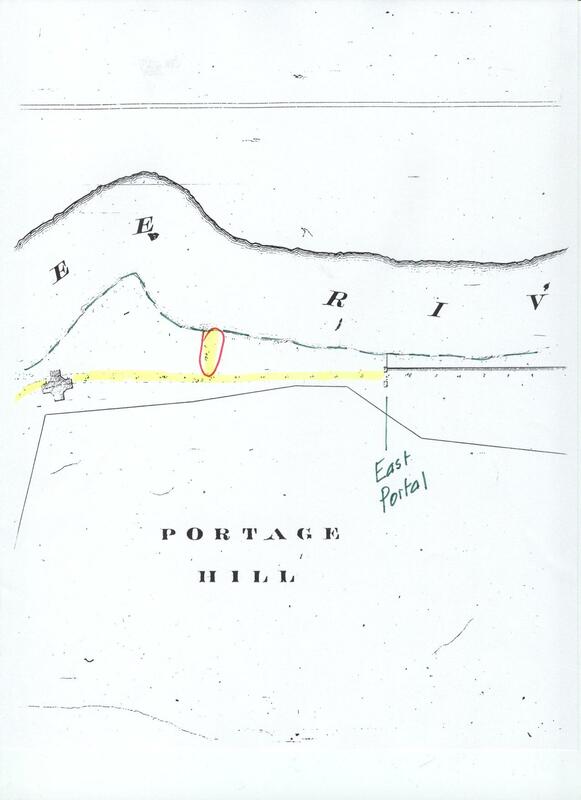 Below are sketches made by "P Emslie" which were sent to us by Mr. James Stewart. 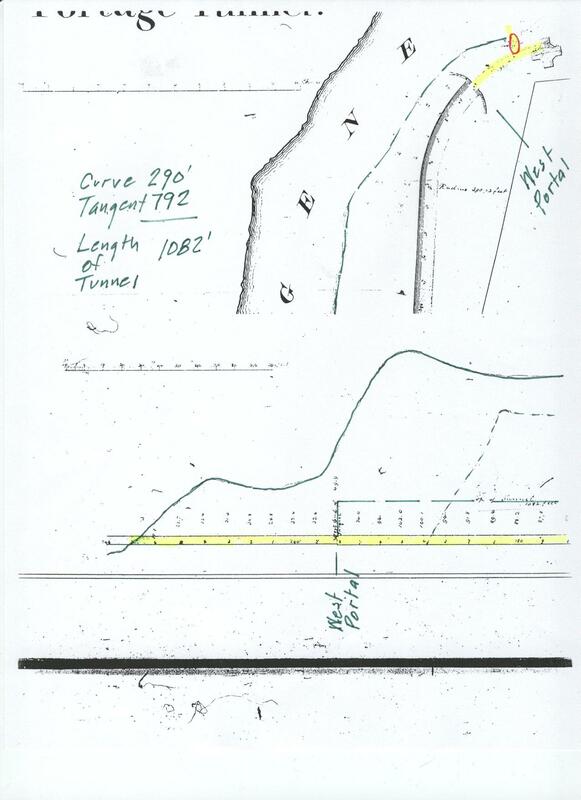 For more information, see our Glimpse of the Genesee Valley Canal. 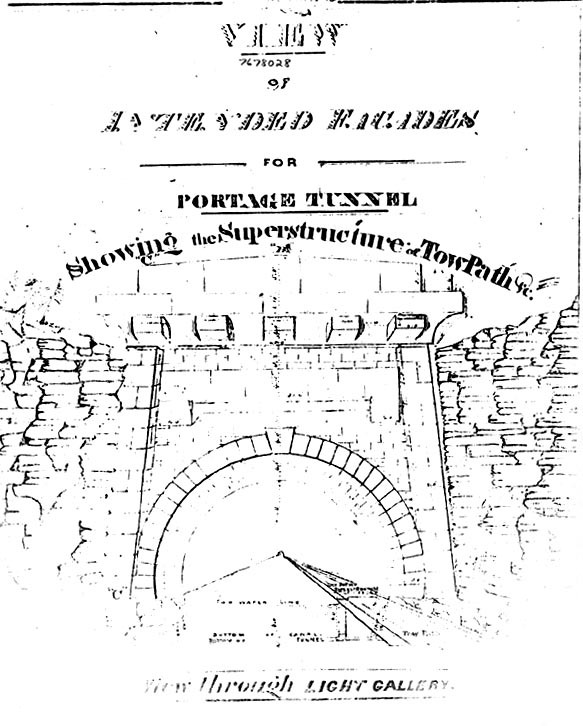 Above: Drawing of proposed entrance to the Tunnel. 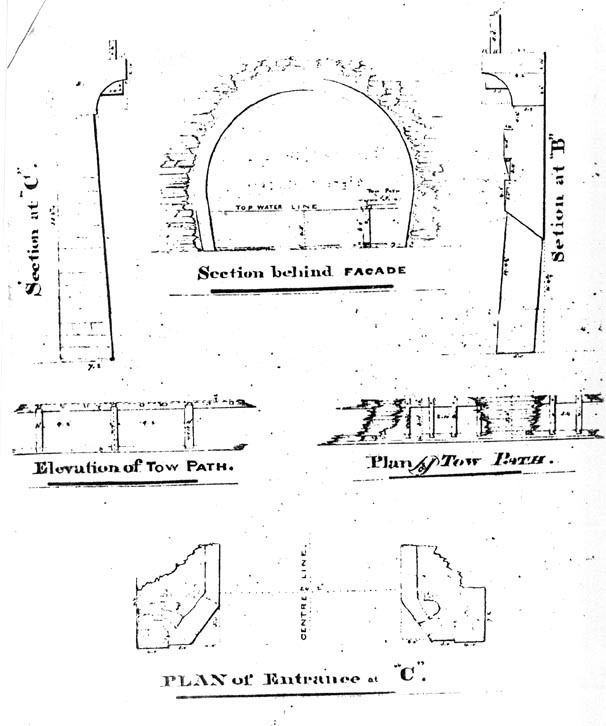 Below: Additional details of the entrance area. 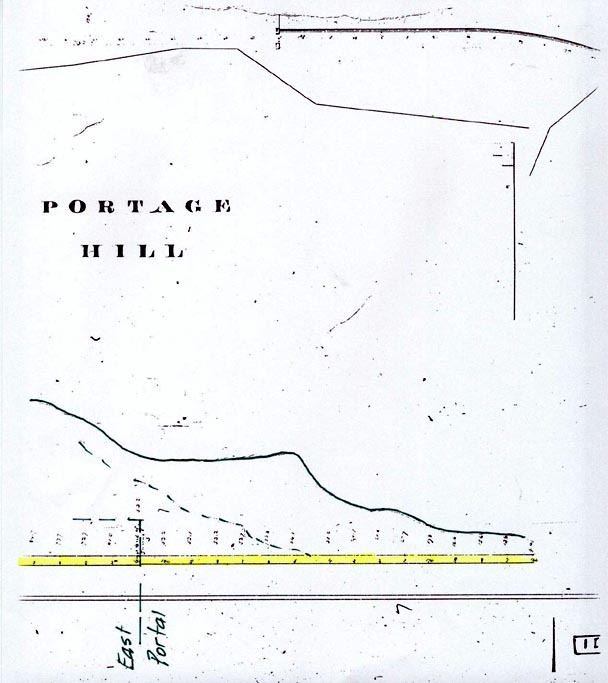 in yellow and circled is the one that is resulted in the "Bat Cave" The cross shaped structure is Hornby Lodge.